Client Advisor - This 2015 Mercedes Benz SL63 AMG is in excellent condition showing only 7,141 original miles. Clean Carfax and 1 owner. The interior still smells new and is well equipped with options including: Red painted calipers, Wood/Leather steering wheel, 19"/20" AMG 10 spoke wheels, Soft close doors, Navigation, Drivers assistance package, Distronic Plus, Lane keeping assist, Active blind spot assist, Mercedes neck warmer, Burl Walnut trim, Heated and cooled seating and much more! 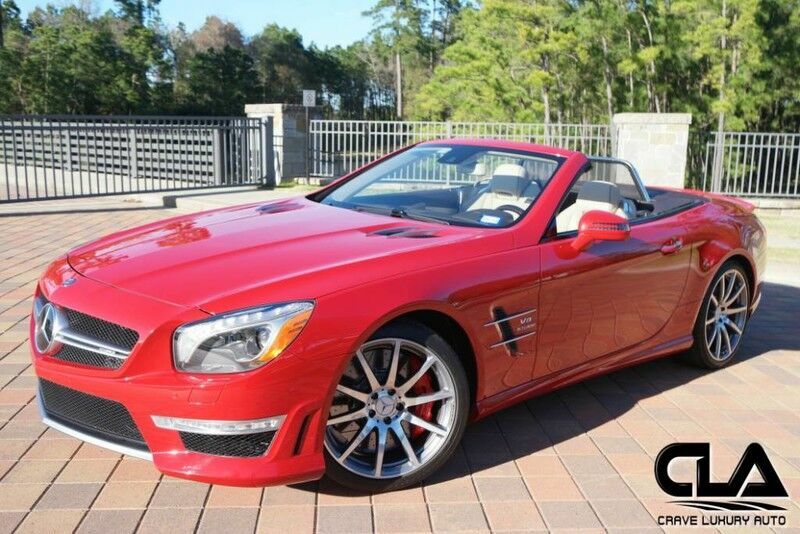 Don't miss this opportunity to own this Rare SL63 AMG! Original MSRP: $155,665.00 This Mercedes Benz like all previously owned vehicles here at CLA went through our own rigorous inspection process performed by our Master Technicians. Call to schedule your appointment today! Crave Luxury Auto is located Just north of Houston, Tx in The Woodlands. Our service center is just across the street from our showroom. Please call us with any questions you have in regard to this vehicle at 281-651-2101.